Other-earthly; prolonged and deathly; loud and terror-ridden. This sound came from Joseph’s body, up from the depths of his soul when he revealed himself to his brothers. 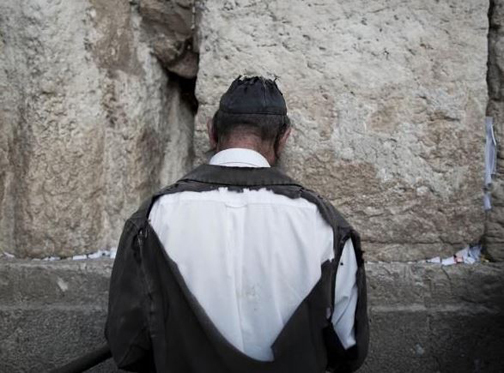 This unnatural act of forgiveness came with a terrible cost: months and years of turmoil. The brothers Joseph struggled to forgive were the very ones who had bullied him, had cooked up schemes to murder him, had sold him into slavery. Because of them he had spent the best years of his youth moldering in an Egyptian dungeon. Though he went on to triumph over adversity and though with all his heart he now wanted to forgive these brothers, he could not bring himself to that point, not yet. The wound still hurt too much. I view Genesis 42-45 as Joseph’s way of saying, “I think it’s pretty amazing that I forgive you for the dastardly things you’ve done!” When grace finally broke through to Joseph, the sound of his grief and loved echoed throughout the palace. What is that wail? Is the king’s minister sick? No, Joseph’s health is fine. It was the sound of a man forgiving. Jesus prayed until He could agree with the Father’s will. This death had to be died. This pain had to take its course. There was no other way. In order to fully love us, He agreed to the Father’s plan. On the cross, in torturous agony, Jesus gave Himself for the sins of the world. What is that wail? Listen, and hear that horrible sound. 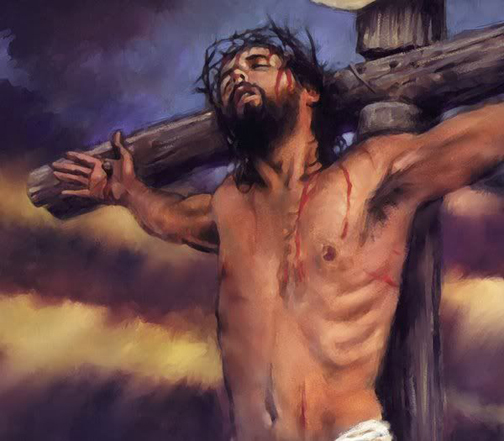 It graphically illustrates that He came and willingly died for us all. The wail revealed the sound of this perfect Man forgiving—forgiving us! Jesus asks us to forgive others as He forgave. We bow in prayer during this Holy Week to ask for His grace that will allow us the healing that comes from His wail and from our own. 1 Yancey, Philip. What’s So Amazing About Grace? Grand Rapids, Michigan: Zondervan Publishing House, 1997. Pp. 84-85. By growing accustomed to our modern supermarkets and the plastic-packaged-machine-sliced loaves of bread we buy in abundance, we forget the raw materials and the deadly process that goes into such food. Of course, in Bible times, everyone understood what Jesus meant when He referred to broken bread. These people saw daily the practice of bread-making. 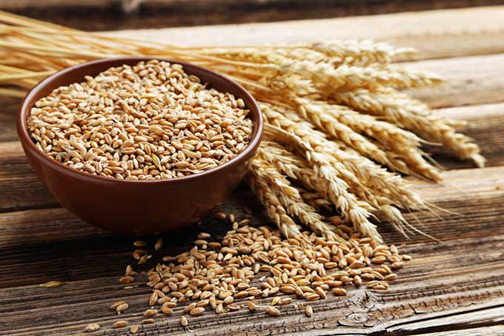 The wheat goes through a wounding process in which each grain gets ground down to the flour with which we make bread. In Jesus’ day, large mill stones crushed the grain and ground it. Using the image of broken bread, Jesus demonstrated the breaking of His own body by which the Father made Him food for us. Even if we understand Jesus’ brokenness when we partake of the Sacrament of Holy Communion—the Lord’s Supper—we must realize that not only should we celebrate and remember Christ’s giving for us, He also wants us to give ourselves away in the same manner. If we have felt the crushing of our hearts—most all of us have had such an experience—we must understand that Christ wants more from us than our single ripened grain of beautiful wheat. The way of the cross, on which His body was broken, has become a demonstration of God’s sacrifice for us. Now, He wants us to give our broken lives to others as bread, nourishment, and healing for them. We can praise our risen Lord for the crushed body He gave for us. And, we can praise Him for the honor He gives us to demonstrate the same brokenness and sacrifice to a needy world in which we live. 1 Voskamp, Ann. Be the Gift. Grand Rapids, Michigan: Zondervan Publishing Company, 2017. p. 57.
out the people who were selling things there. 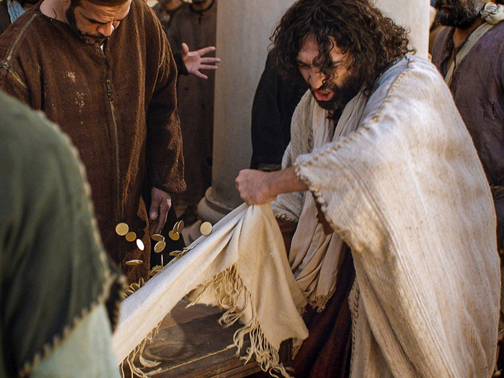 We have all read the story of Jesus coming upon this scene, angered by what He saw, and taking authority to overturn tables, scatter coins, and let loose the animals. He felt personally attacked because, unknown to the crowd, this was His temple on earth. I often wondered what lesson God wanted us to learn from this account. How can we apply this to our world? I doubt anyone reading this has seen such a scene in their churches. Pretty strong words, right? It begs the question, “What would Jesus in anger like to overturn, or throw out, of our lives?” What does He see in us that does not belong? What should be replaced with prayer, or with a strong healing touch of the Holy Spirit’s power? Have we become so accustomed to the sight, smells, and noise of sinful activity that we no longer notice? Oh, Jesus, You who died so that we might become a temple in which You feel comfortable to live, to pray, and to serve, please have mercy on us! Reveal to us the sinful clutter, the bellowing din and smelly sins that crowd out Your “still small voice” and Your beauty. Cleanse us, purify us. Reveal Yourself in love, rather than in anger. And, heal us, that we may carry Your precious Spirit glowing with light and peace to the world. Amen. 1 Brouwer, Sigmund. The Carpenter’s Journey to the Cross and Beyond. Nashville: Countryman-Thomas Nelson Publishing Company, 1997. p. 31. 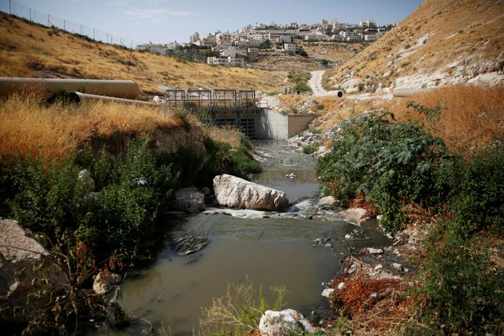 Even today, as the photo above shows, the Brook Kidron carries the foul waste from the city of Jerusalem. King David—in fleeing from his son, Absalom, who had usurped King David’s power and proclaimed himself king—sorrowfully crossed this brook into the desert in order to mourn. David prayed that God would allow him favor to let him again see his beloved city of Jerusalem and the tabernacle of Jewish worship. He took Peter, James and John along with him, and he began to be deeply distressed and troubled. “My soul is overwhelmed with sorrow to the point of death,” he said to them. I want to know Christ and the power of his resurrection and the fellowship of sharing His suffering. The King of Kings himself was not favored with a more cheerful or royal road. He passed over the filthy ditch of Kidron, through which the filth of Jerusalem flowed. God had one Son without sin, but not a single child without the rod. It is a great joy to believe that Jesus has been tempted in all points like as we are. What is our Kidron? Is it a faithless friend, a sad bereavement, a slanderous reproach, a dark foreboding? The King has passed over these. Is it bodily pain, poverty persecution, or contempt? Over each of these Kidrons the King has gone before us. Courage, soldiers of the Cross, the King himself triumphed after going over Kidron, and so shall you. 1 Spurgeon, Charles Haddon. Morning and Evening. McLean Virginia: MacDonald Publishing Company, Public Domain. p. 304. Pharisee and the other a tax collector. those who humble themselves will be exalted. Often in the dreary days of winter, or when the school year winds down, teachers and administrators create school-wide activities to bring some excitement to their students. They try “hat day,” or “mis-match day,” or “school colors day.” One such of these special days that I remember we called “Inside Out Day.” Everyone dressed with their clothes inside out. I got to thinking: What if we wore our personal sins on the outside, instead of hiding them as if those personal sins represent our fraying seams and tags? If we dressed this way all the time, would that make us consider more clearly the way that God sees our sins? More than fifty years ago, our Houghton College chaplain often said we came to church showing our “respectable exteriors.” We wore our best suits and shoes, showed everyone our smiles, and sang using our heartiest voices. What if everyone could see us on the inside, just as God does? He knows very well our hidden faults and our sins too dreadful and embarrassing to admit. The parable Jesus told about the tax collector and Pharisee—a religious leader in the temple—illustrates this condition of heart. Jesus wants us to see that we live much of the time like the Pharisee did: respectable, confident in our holy living, and looking down on those we know who have major sin problems. Jesus asked which of the two men He actually justified. He wants us to humbly and willingly show our hidden sins to Him and to bow before Him seeking for His mercy, grace, and forgiving love. During this Season of Lent, let us make a point of looking at the “wrong side” of our image—the side God alone sees and waits for us to confess to Him. If we need to take a day and wear something inside out, allow it to remind us of God’s all-seeing eyes and His readiness to cleanse us from our sins and dress us in the fullness of His righteousness! References to Jesus as “the Lamb of God,” come up often in the New Testament Scriptures—from His baptism by John, all the way to Revelation, the last book of the Bible. 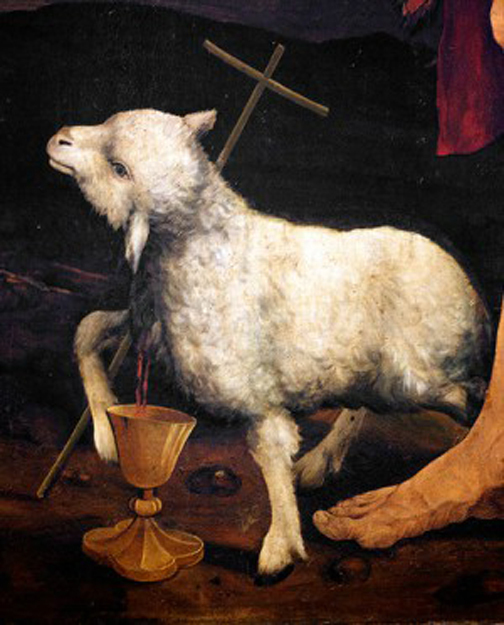 Most often the image of the Lamb refers to Christ’s sacrifice on the cross and His disposition as He made that sacrifice. The challenge for us, who follow the Lamb during this Season of Lent, comes when we humbly acknowledge how far we fall from His standard. The simple Lamb—helpless and dependent. The shorn Lamb—of His rights, His reputation, His position. The silent Lamb—never defending Himself or explaining Himself. The spotless Lamb—no resentment, no grudges, no bitterness. The substitute Lamb—carrying our sins, the scapegoat for us, scarred and humble. If we make it our goal to be like Jesus, we need to consider how the Holy Spirit continually urges us to allow Him to accomplish more of these characteristics of the Lamb in us. We should accept the challenge during this Season of Lent to join in meditating on the love that led Jesus to become the Lamb for us. Then, let us listen as the Holy Spirit urges us to ask what qualities He would like to see blossom in our lives. 1 Hession, Roy, The Calvary Road. London: Christian Literature Crusade, 1950. Pp. 60-64. In Bible times, rending, or ripping, your garments signaled a deep emotion: grief, anger, penitence, etc. The devout individual would use this act also as a symbol of deep repentance for sin when he or she cried out to the Lord. Yet, this act, over time, became an ostentatious symbol that belied a different inner reality. The prophets of the Old Testament, and Jesus in the New Testament writings, warned against “playing to the crowd” by acting in holy ways without the inward changes the outward signs represented. As the prophet Joel warned in the Scripture passage at the beginning of this blog post, God looks at the hard, humbling work in the heart and ignores the outward pretentions. What kind of things do we do in our culture to represent repentance, or a turn around, in our spiritual lives? Many people will attend Ash Wednesday services this week and wear the sign of the cross on their foreheads to demonstrate their heart intentions. But, quite likely, some will go through the motions and never truly deal with the sins they retain in their hearts. When I attended high school many years ago, those of us who loved the Lord would carry our Bibles on top of our books. But, I also watched as teenage attractions led some to try to please someone of the opposite gender by playing the part of a devoted Christian and also carry a Bible on top of their books without actually ever allowing God to make a sincere change in their hearts and behaviors. Heart-rending is divinely wrought and solemnly felt. It is a secret grief which is personally experienced, not in mere form but as a deep, soul-moving work of the Holy Spirit upon the inmost heart of each believer… It is powerfully humiliating, and completely sin-purging; but then it is sweetly preparative for those gracious consolations which proud unhumbled spirits are unable to receive. 1 Spurgeon, Charles H. Morning and Evening. McLean, Virginia: MacDonald Publishing Co., Public Domain. p. 706. I spent my childhood on a dairy farm in Western New York State. My Christian family encouraged my musical talent from an early age. After graduating from Houghton College, taking graduate courses at Hartt School of Music, University of Hartford, and receiving a master's degree from Central Connecticut State University, I joyfully taught children music in the public schools of New York and Connecticut for 32 years. During that time, I encouraged other Christian teachers in public schools to live out their faith. Now, in semi-retirement, I offer my talents to God as a church organist and children's choir director. Copyright © 2010-2018 by Shirley W. Wilson. All rights reserved. Picture Window theme. Powered by Blogger.